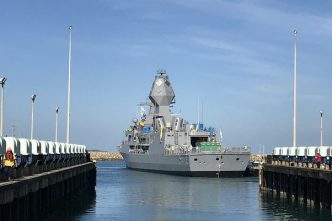 Since the Australian National Audit Office’s recent report on Anzac-class sustainment has provided some solid information about some key parameters in the frigate transition, it’s timely to examine the broad risks that the government and Defence will need to address to transition without a capability gap. Overall, the frigate transition should not be a risky as the submarine transition. There are key differences. The number of frigates is only increasing from eight to nine, which shouldn’t be as demanding as doubling the submarine fleet from six to 12 boats. The increase in individual frigate tonnage from 3,900 tonnes to over 8,000 will be a step change in capability, but at least the crew size will be comparable. Larger wharves will be needed, and things will no doubt get tight at Garden Island in Sydney as the navy doubles in tonnage overall. But the future frigate basing arrangements will most likely be similar to the current situation, with the class split between fleet bases east and west, so at least there won’t be the challenge of establishing a new base from scratch as there likely will be with the future submarine. The design of the Hunter class appears to be more mature than the design of the Attack class: construction of the UK’s Type 26, from which the Hunter class is derived, has already started. That said, there are still challenging design and integration issues to address, since the Hunter class will have a different combat management system (Aegis with a Saab interface), radar (CEA Technology’s CEAFAR), weapons (the US suite of the Evolved Sea Sparrow and SM-2 missiles) and helicopter (the MH-60R Seahawk ‘Romeo’) than its British sibling. And the Australian design will need to be adapted to a very different operating environment. 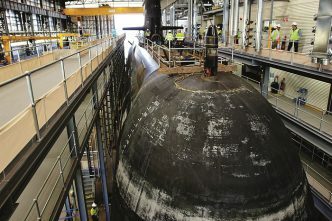 Expertise in ship sustainment is not in as short supply as expertise in submarine sustainment, and Anzac deep maintenance is already safely quarantined in Western Australia away from the massive competing demand for the construction workforce in South Australia. Defence and its build partners, BAE Systems and ASC, have got off to a flying start. 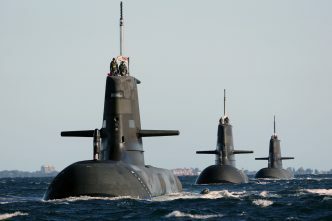 They negotiated a head contract in well under a year, suggesting that Defence has a much better relationship with them than it has with Naval Group in the future submarine program (or at least closer cultural and philosophical alignment). The head contract for that program took nearly three years to sign. That’s the good news. The bad news is that, like the Collins, the Anzacs will have to keep going for a long time. The ANAO’s report states that last year the government agreed to extend the ships’ service lives. The first Anzac was originally meant to retire in 2024–25 and the last in 2032–33. Those dates are now 2029–30 and 2042–43. The new dates make sense if the transition plan is to retire an Anzac whenever a Hunter enters service. If the first Hunter enters service in around 2029–30 (which is consistent with Defence’s Senate estimates testimony), then on the planned two-year production drumbeat, number 8 arrives around 14 years later. 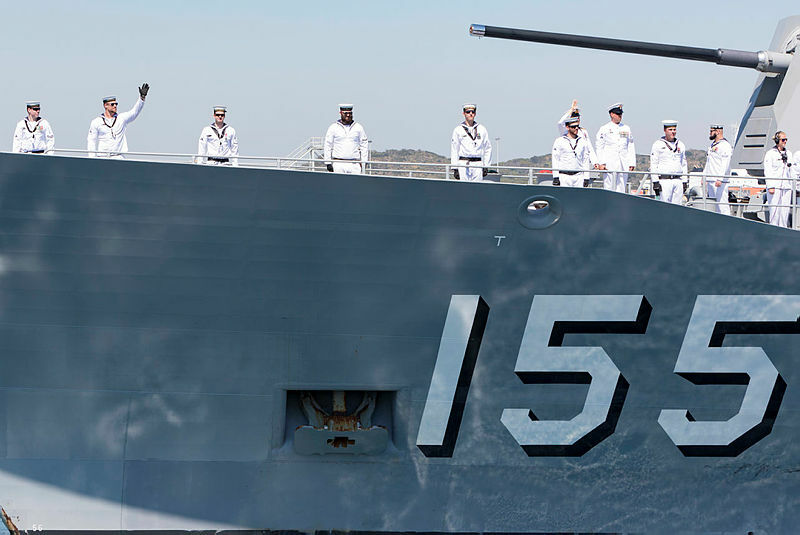 What that means, assuming the Anzacs are retired in the order they were commissioned, is that the life of the first, HMAS Anzac, will be extended five years, from 29 years to 34 years. 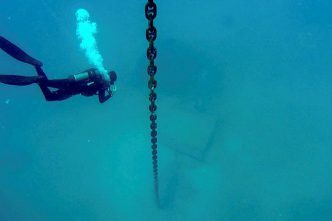 Because the Anzacs were delivered on roughly an 18-month drumbeat, the later ships will need to be extended even longer since the Hunters are being delivered more slowly. The last of the class, HMAS Perth, will need to be extended by 10 years, from 26 to 36 years. In short, the Anzac class will be in service for another 24 years. So just as we observed that some of the Collins aren’t even halfway through their service lives, the ANAO noted that, ‘The ANZAC class is half way through its original service life-of-type’ (page 7). The ANAO also observed that the government agreed to the service life extension before Defence had developed a transition plan identifying and addressing the risks in that transition. That plan isn’t due for completion until late this year. The Collins don’t yet appear to have a transition plan, but at least Defence conducted studies of service life extension earlier this decade to understand whether the Collins’ systems could be extended. It’s not clear whether this has been done with the Anzac class. 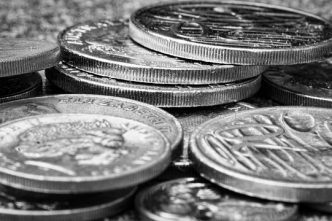 As the ANAO drily noted, ‘Undertaking the transition study after the decision to extend has been made is not without risk’ (page 32). Of course, when it is locked into the tyranny of a two-year shipbuilding drumbeat, what other option did the government have than to agree to the extension and trust that Defence and its industry partners would find a way to get the Anzacs through? So, what are the risks that Defence and industry will need to address to get the Anzacs through and avoid a capability shortfall or gap? I’ll examine those in the next parts of this series.